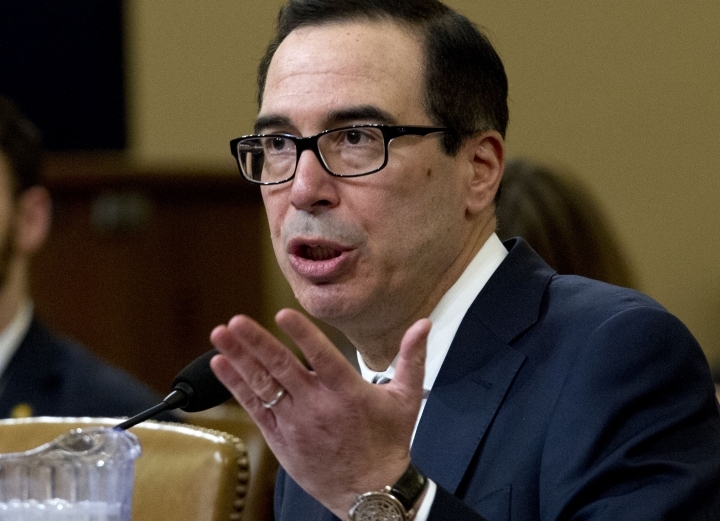 WASHINGTON — Treasury Secretary Steven Mnuchin suggested Thursday he will protect President Donald Trump's privacy if he receives a request from House Democrats for Trump's tax returns. 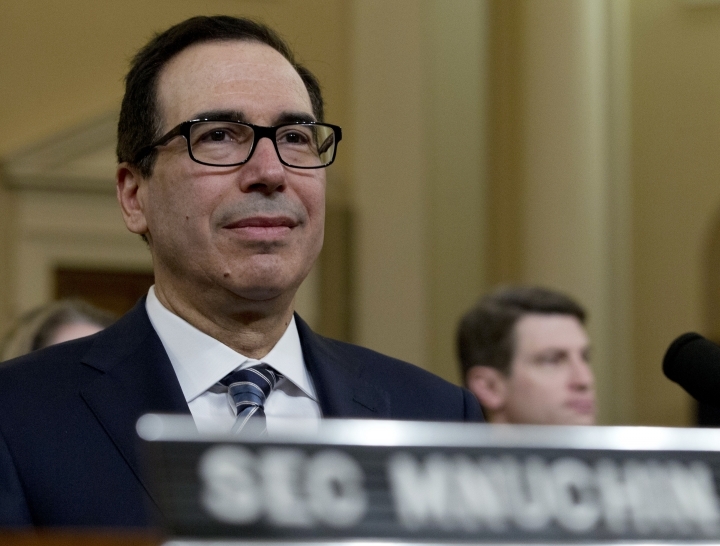 At a House Ways and Means Committee hearing, Mnuchin was asked whether he would meet a request for Trump's past tax returns. Chairman Rep. Richard Neal, D-Mass., is expected to formally ask for those as Democrats seek to shed light on Trump's financial dealings and potential conflicts of interest. 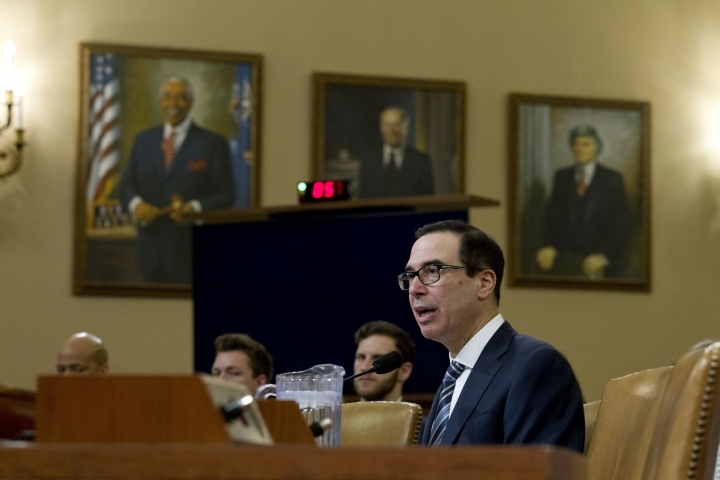 "We will examine the request and we will follow the law ... and we will protect the president as we would protect any taxpayer" regarding their right to privacy, Mnuchin said. Neal is one of only three congressional officials authorized under a rarely used 1924 law to make a written request for anyone's tax returns to the Treasury secretary. The law says the Treasury chief "shall furnish" the requested material to members of the committee for them to examine behind closed doors. But Mnuchin did not specifically say he would turn them over. The unprecedented move likely would set off a huge legal battle between Trump's administration and Democrats controlling the House. The fight could take years to resolve, possibly stretching beyond the 2020 presidential election. Neal could move in coming weeks to ask for the documents. "It's happening and it's coming, so be prepared," Rep. Bill Pascrell, D-N.J., told Mnuchin at the hearing. Democrats say that seeking Trump's tax documents falls within their mandate of congressional oversight; Republicans accuse the Democrats of using powers in the tax law to mount a political witch hunt. Republican lawmakers have invoked privacy concerns and the confidentiality of all tax documents, suggesting that the Democrats would leak Trump's returns so they would become public. Trump's attorney Rudy Giuliani has suggested the Democrats could have a hard time proving their demand was intended for pursuing legitimate congressional oversight and was not a political scavenger hunt. Mnuchin was asked whether Trump had intervened in some way or asked him to ignore the expected request for the tax returns. "He has not," Mnuchin responded. He said he hasn't discussed the issue with anyone in the White House or with Trump's attorneys. Trump's former personal lawyer Michael Cohen, during his detailed testimony to a House committee last month, said he asked Trump for paperwork for the audit to prepare Trump's response to reporters about the issue, but never received any documentation. Cohen said that led him to presume that Trump isn't being audited. Getting Trump's returns has been high on the Democrats' list of priorities since they won control of the House in November's midterm elections. The Democrats tried and failed several times as the minority party in Congress to obtain Trump's returns. They want to explore numerous aspects of Trump's complex financial dealings and corporate empire. Among them: whether there are conflicts of interest between Trump's companies and his presidential actions, whether he's properly paid taxes and whether he personally benefited from the sweeping Republican-written tax law enacted in late 2017.